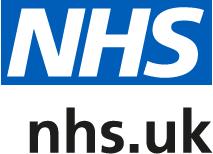 The GP Patient Survey is an independent survey run by Ipsos MORI every year on behalf of NHS England. The survey is sent to a group of randomly selected patients to get their views on their GP practice. Out of 224 surveys sent out to patients of Ashfields Primary Care Centre, 122 were returned giving a 54% completion rate. This is a good return rate for this type of survey. One area that patients responding would like to see some improvements in is waiting times, as 49% of respondents state they usually wait over 15 minutes to be seen. To address this we have introduced longer appointments on some mornings to try and give people more time so the doctors overrun less.